Dogs Sleeping Forum • View topic - The French. What's MLP and what sage advice Guest? Time for your bed, Vipes, and sweet dreams of Le Pen and Oy Vey. Foreign media and twiiter have the protests spreading to other countries. Not sure how this is going to be resolved, Macron going won't end the EU's neoliberal attitude and demanding austerity of other countries. Almost two thirds of France’s 3200 fixed speed cameras have been destroyed or otherwise vandalized during two months of Yellow Vest protests, it was announced today. The incredible figure refers to 1920 devices that have been attacked and in some cases smashed to pieces by protesters linked to the anti-government movement. Motorway toll booths have also been burned down by activists, who are now calling for Mr Macron to resign. Good work yellow jackets, let's hope it spreads to here. 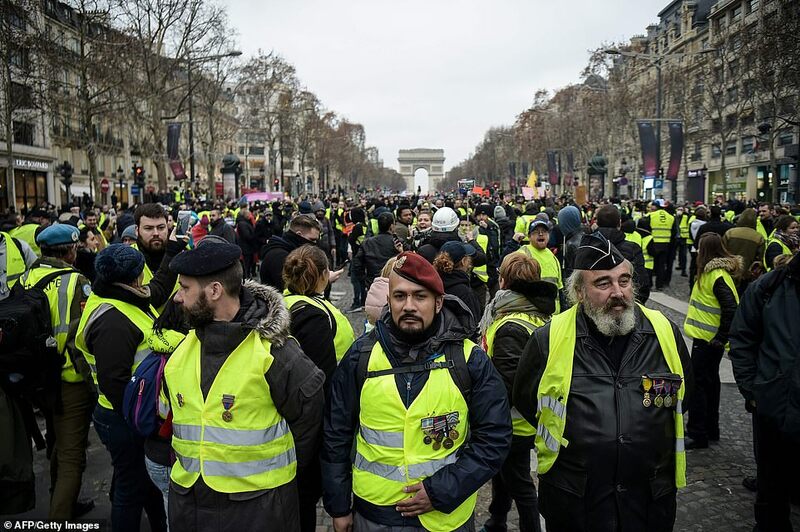 A bank was attacked, a government building was vandalised and rioting broke out next to Napoleon Bonaparte's tomb as 84,000 anti-government Yellow Vests demonstrated all over France for the 10th weekend in a row. Still going strong and spreading by the looks of it. We saved their arses in two world wars and they kissed up to their enemy! Ray of Sunshine wrote: We saved their arses in two world wars and they kissed up to their enemy! ps If you love great food and a beautiful city, don't miss Lyon. With that recommendation I will endeavour not to.